Well sorted and nicely updated Hertz GT350 “rent-a-racer” tribute car. 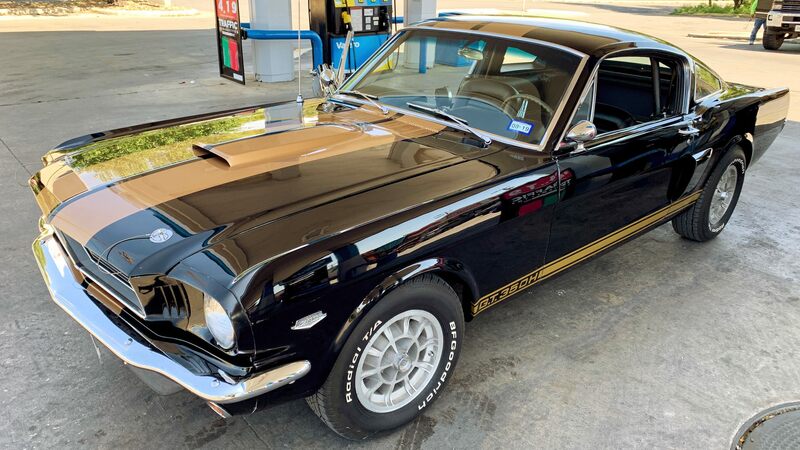 Started life as a factory Black on Black V8 289 Fastback. Inner fender VIN stamp in place along with Buck Tag and original door trim tag. Beautiful paint, excellent body including original floors. Incredible road worthy car with the right upgrades and that “iconic” Black and Gold presentation.